Facial Cosmetic Surgery and Procedures are growing in popularity with an increasing number of young men and women seeking out cosmetic surgery. While there may be different reasons for these rising numbers, general conversations have revealed that the social media is a primary reason for this trend. The social media is changing how we see ourselves and how we wish to improve our appearance – one selfie at a time. 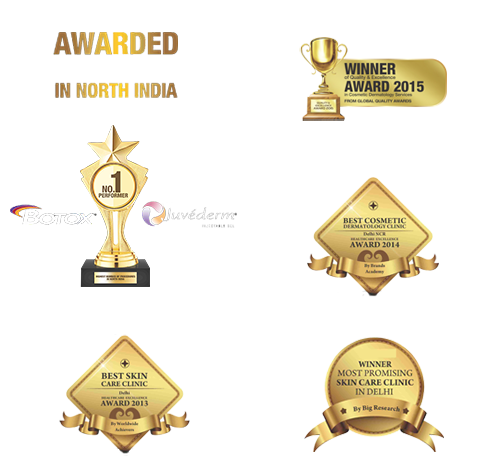 Clinic Dermatech, North India’s Most Awarded Skincare Clinic, which offers cosmetic procedures and plastic surgery, has seen a surge in queries for not only cosmetic dermatologists but aesthetic and plastic surgeons too. According to the plastic surgery team at Clinic Dermatech, today the average client is more aware of their appearance thanks to the social media websites. Many a client decides to pursue cosmetic procedures and surgery primarily due to how they look in the social media posts and images. Some clients bring pictures of themselves from social media websites in order to be able to elucidate what they feel the problem area is and what they want their appearance or look to be like. Afterall, more than the mirror, it is these social media images that force ourselves to self-examine our images with a critical eye and as to how we are appearing to the world. So increasingly young people want to put their best foot forward and leave a good impression online to friends, family members and even prospective employers who are increasingly turning to social media while looking for a candidate to fill vacancies. Thanks to the social media, the team at Clinic Dermatech is seeing an increase in clients under the age of 30 with more and more people inquiring about and undergoing skin treatments, hair transplants, eyelid surgery as well as Botox and fillers for removing wrinkles. 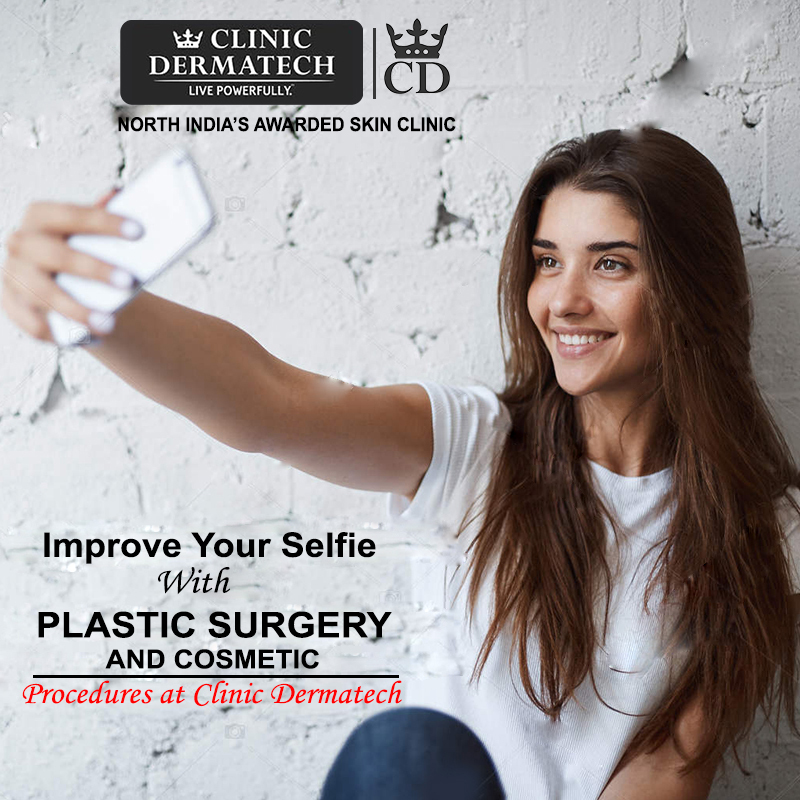 The lead aesthetic surgeon at Clinic Dermatech said that the improvements in cellular technology and mobile phones along with the advent of social media and the popularity of selfies is helping plastic surgeons being better at their jobs. 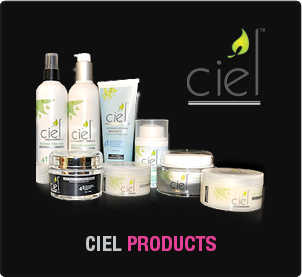 This actually helps them treat and attend to their clients needs better. Men and women are using selfies to not only show their cosmetic dermatologists what they perceive as their problem areas, what they want to be improved or changed and what their goals are. They are using selfies in a surprising manner too – they are taking selfies post-procedure and sending them to the doctors and surgeons to keep the latter updated on the progress and to clear doubts. 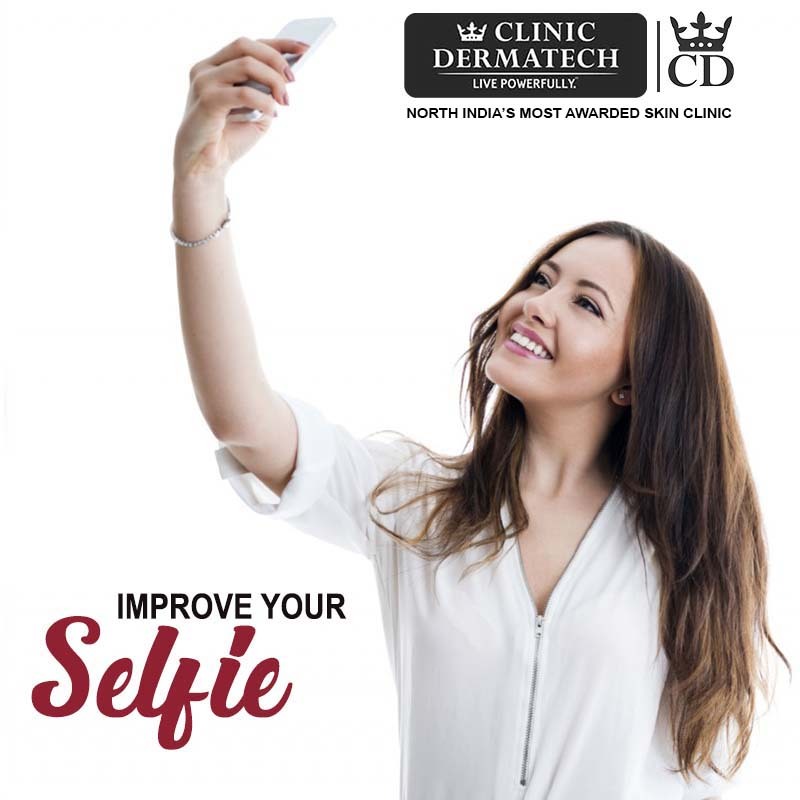 Whether you are looking to improve your selfies or improve your appearance, consider speaking to the team of Cosmetic Dermatologists and Plastic Surgeons at Clinic Dermatech. 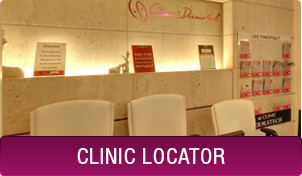 If you have a question about a procedure or wish to schedule a consultation, please call 8905320330 (Delhi NCR) today or fill out our contact form by visiting www.clinicdermatech.com.